John is Professor of Computer Science at the University of Georgia and the Graduate Coordinator for the department for 9 years. His research interests include database systems, simulation, bioinformatics and Web services. John received the B.S. degree in Applied Mathematics from Northwestern University in 1980 and the M.S. and Ph.D. in Information and Computer Science from the Georgia Institute of Technology in 1982 and 1986, respectively. During his undergraduate education, he worked as a programmer at the Princeton Plasma Physics Laboratory. John is author of over 100 technical papers in the areas of database, simulation, bioinformatics and Web services. 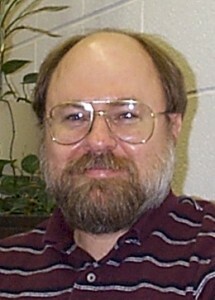 He is an Associate Editor for ACM Transactions on Modeling and Computer Simulation and IEEE Transactions on Systems, Man and Cybernetics as well as a Guest Editor for the International Journal in Computer Simulation and IEEE Potentials.